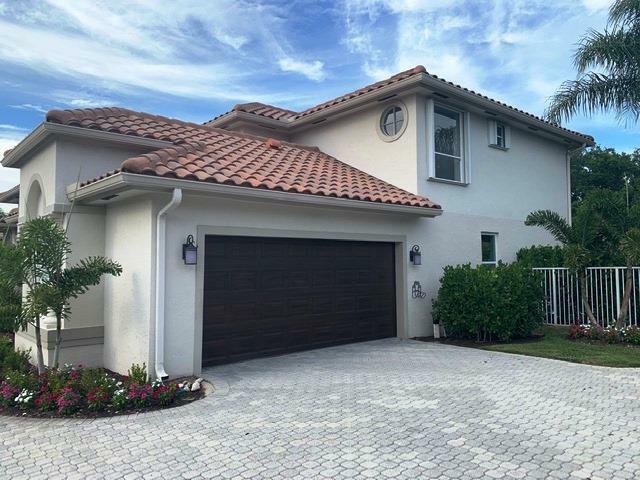 Stunning & beautifully designed Estate home - COMPLETELY renovated from top to bottom!This 2-story 4BD/2.5BA with over 2,800 SF living area has everything you'd want and more! Impressive upon entry as you approach the extensive custom pavered driveway and double front doors with frosted glass, the unique features of this home are limitless!Spectacular backyard - with oversized pool and heated spa with cascading waterfall - is absolutely perfect for entertaining!The entire home is adorned with light grey wood-plank tile throughout, with custom modern tile work on multiple walls. Gourmet kitchen with all stainless steel appliances, double oven, cooktop, Quartz countertops, all white soft-close shaker style cabinets with detailed crown molding and extensive LED high-hats throughImpressive master suite on first floor features custom Plantation shutters, large walk-in closet with custom closet system, with doors leading out to your radiant pool. Upgraded master bath with marble floors, double vanities with dual sinks and Quartz countertops. Separate Ove tub & frameless shower door, extensive custom tile & glass work, and dual shower heads including Rain shower system. 2nd floor features 3 spacious bedrooms with new wood floors. Renovated guest bathroom with double vanity, new tile, mirrors and hardware. Enjoy your private backyard paradise! 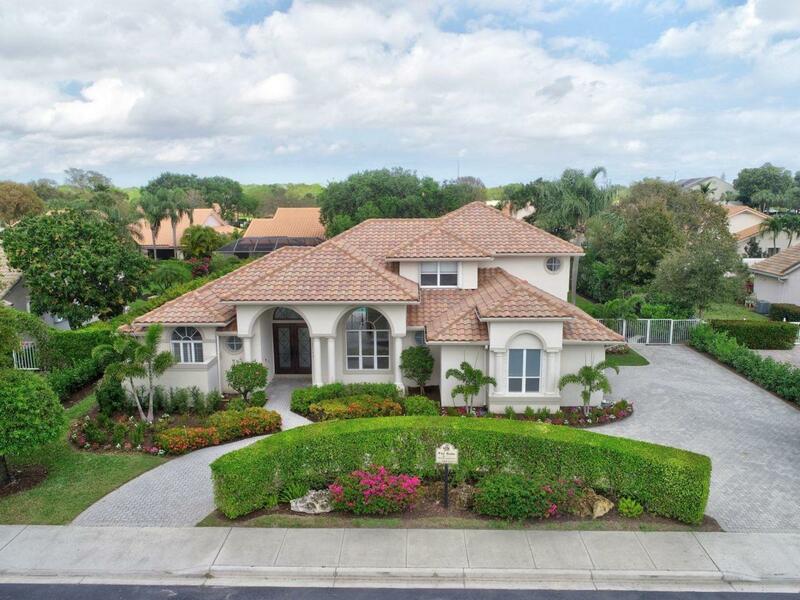 Fully fenced and surrounded by tropical lush landscaping complete with exquisite Christmas Palms & Clusias. Convenient cabana bath has new vanity, mirrors and fixtures. Additional upgrades include renovated laundry room with new cabinets, custom quartz countertops, new Samsung front load washer & dryer with pedestals. 2 newer high efficiency A/C systems (2017) and roof was replaced 10/09. Live in one of the Palm Beaches most amazing golf course communities without having to pay a mandatory membership if not desired. LOW HOA fees include 3 parks (2 within easy walking distance), 2 pools (one Olympic size), lighted tennis courts, sand volleyball court, bocci ball courts, a children's play area and more. Prestigious and highly sought-after Bear Lakes Country Club has just completed its spectacular clubhouse renovation! Conveniently located to all the BEST that West Palm Beach has to offer! Only minutes from main highways, restaurants & shops, beaches, Palm Beach Airport, City Place, Clematis Street, the new Outlet Mall, the Kravis Center for the Performing Arts and more!